As always, we welcome your input and comments—on these particular documents as well as on research training in general. We particularly encourage you to share suggestions based on your own training experiences. Send your comments to me or post a comment on the Feedback Loop to share them with other readers. In principle, I agree with most if not all of these recommendations. I fact, I think I do a pretty good job at many of them. However, the time expected to DOCUMENT all of these activities will not be small. And ultimately, I do expect that it is RESULTS that will be the primary consideration to get grants, not IPDs, etc. If funds are available to actually get grants so I don’t have to spend every cycle writing a proposal, I’m happy to spend more direct time training my personnel. But I don’t want to see NIH following the same path of state and federal regulations. There is so much silly paperwork nowadays, most of which conceptually makes sense, but in practice takes an enormous time away from doing science (and in this case, actually training personnel). I have for a long time promoted the idea that staff scientists are a good thing – they are well trained, efficient, and provide important continuity to a research program. However, it doesn’t do any good to promote or mandate this if NIH doesn’t provide increased salary support funds for these people. And how the heck are these positions going to be stable if they are subject to the the whims of the constant grant applications? The biggest problem is too many people in the system. Or not enough funds to go around. It all depends on how you look at it. This issue is completely ignored. Either reducing the number of people or increasing the overall funding pool would make many problems go away. I see too many unfunded mandates to really consider this blueprint a serious attempt at improving the situation. There are no notes pertaining to this field. 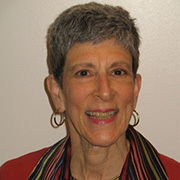 Judith is the deputy director of NIGMS. In the past, she’s also served as the acting director of the Institute and as the director of the Division of Genetics, Molecular, Cellular, and Developmental Biology. 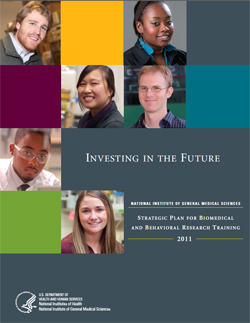 She led the development of the NIGMS strategic plan issued in 2008 and the development and implementation of the NIGMS strategic plan for training issued in 2011.